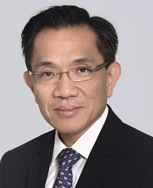 In the recent decision of Sunseap Group Pte Ltd & 2 Ors v Sun Electric Pte Ltd  SGCA 4, the Singapore Court of Appeal of 5 Judges held that in cases where an application for revocation of a patent is brought by way of a defence and counterclaim in infringement proceedings, the Singapore High Court has original jurisdiction to determine the validity of a patent and order that the patent be revoked if it is found to be invalid. This decision was a welcome clarification from the full bench of the apex Court as it reversed a much-discussed decision in Sun Electric Pte Ltd v Sunseap Group Pte Ltd and others  SGHC 232 (“HC Judgment”). The HC Judgment had the effect of limiting the High Court’s original jurisdiction to hearing issues relating to the validity of a patent without the power to revoke the patent. Applications for the revocation of a patent at first instance could therefore only be heard by the Registrar of Patents, representing a major departure from existing practice.